Situated in WanChai business district with a frontage facing over Victoria Harbour, opposite to the Hong Kong Convention and Exhibition Centre, neighbouring the Hong Kong Arts Centre and the Academy for Performing Arts. 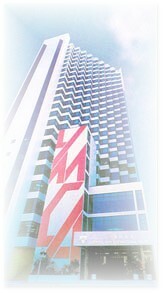 Only 10 minutes walk to Central district and Pacific Place where commercial & shopping centres are close at hand. Our staff are guest orientated and we offer quality service to meet your needs. :: Rates are in USD, including all taxes and service charges, occupancy for 1 or 2 persons. urgent visa : pick up before 12:00 and send back on 19:00 , pick up after 12:00 and send back on next day next day 14:00.
express visa : pick up before 12:00 and send back on next day 14:00 . pick up after 12:00 and send back on next day 19:00.